As part of your fall course schedule, first-year students have the opportunity to be enrolled in a Shorter University Learning Community (LC). At Shorter, your LC is where belonging begins academically, so it serves as the foundational first-year experience for many of Shorter’s first-year students. LCs build connections between you and your classmates, you and your professors and you and Shorter University. Research indicates that students who take part in a learning community will experience an easier transition to college, gain more satisfaction with their educational experience and be more likely to stay on track to graduate. Through the online Hawk Orientation registration form, incoming freshmen have the opportunity to indicate your preference of LC placement. It is important that STUDENTS complete the Learning Community selection process on the online form, NOT PARENTS. Because the LC experience impacts a large component of the first year at Shorter, we recommend students to base selection decisions on your own interests and preferences. While Shorter will make every attempt to accommodate the preferences you marked on the online form, there are a number of variables to be considered in placing you in a Shorter Learning Community. Final selection will be assigned based on your preferences, appropriate course placement, individual circumstances and indicated major of study. If you have already registered for Hawk Orientation, but would like to be a part of an LC, contact Troy Vickers at 706-233-7306 or tvickers@shorter.edu. Shorter offers three different types of Learning Community structures: themes, majors and cohorts. In the Theme LCs – students will take two courses from Shorter’s Foundations Curriculum (aka “core”) in addition to First Year Seminar I. Tied together often times with integrated coursework and collaborative teaching, themed LCs are the best way to enjoy topics that interest you within the context of Foundations courses at Shorter. You will stay on track with most majors because the themed LCs include courses that satisfy most major requirements. In the Major LCs – students will take one to two courses appropriate to a specific major, as well as First Year Seminar I. Although a major LC is not the only way to be on track with the major, it is an opportunity for students to explore a specific major, meet professors in that department and work with classmates who also plan to study in this area. Major LCs include Foundations course options and some introductory major courses. 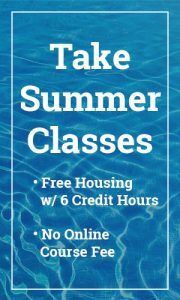 In the Cohort LCs – students will take one or two Foundations courses with the same group they have for First Year Seminar I. Cohort LCs are built around the support and accountability the students create for one another while experiencing the same course schedule, assignments and expectations. If the theme LCs and major LCs do not fit your specific interests, this is an ideal structure for you to still benefit from a learning community experience.